How Does Your Diet Affect Your Oral Health? Most of us understand the importance of good nutrition for our bodies, but did you know that it also affects your oral health? The foods and beverages you consume directly affect your teeth and the health of your mouth. 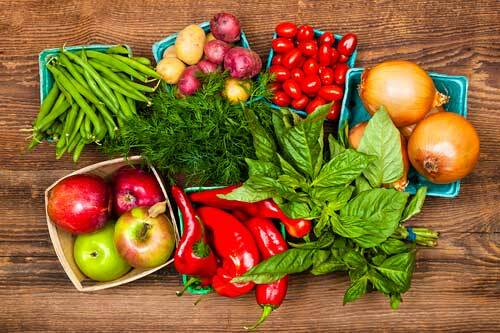 Nutrient dense foods help your body resist infection and periodontal (gum) disease. Here are some other reasons why eating a balanced and nutrient rich diet benefits your oral health. This seems obvious, but when it comes to your oral health, fruits and veggies play an important role. They actually neutralize the acids in your mouth that cause cavities. They also increase saliva flow, which helps to wash away food debris and other bacteria that builds up in your mouth. Eating fruits and vegetables every day can help protect your teeth from tooth decay. We all understand that sugar is the number one enemy of our teeth. It fuels the bacteria, which produce the acids that cause cavities. Most, if not all processed foods contain sugar these days. Read the labels of the products you buy to determine how much sugar they contain. Choose wholesome foods and meals you prepare yourself so you can control the amount of sugar in your foods. Drink water throughout the day and with meals to help wash away food debris. Limiting your consumption of sugary drinks such as soft drinks, energy beverages, and coffees purchased at your local coffee shop, which tend to be laden with astonishing amounts of sugar, will also help control your sugar intake. If possible, it’s best to avoid snacks throughout the day. Snacks often don’t get washed away with saliva or water as your food does with a meal. This means that your snack food will tend to sit on your teeth and stay in your mouth much longer, which contributes to tooth decay. This is especially true when you choose starchy snacks that stick to your teeth like chips, or bread items like bagels. If you need to reach for an afternoon snack, choose fruits or vegetables. 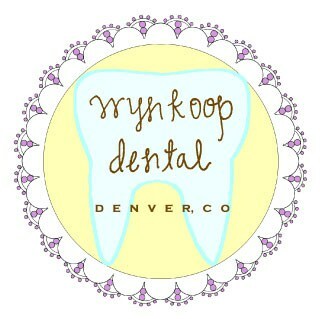 Your team at Wynkoop Dental is here for you! We’re happy to answer your questions about nutrition and choosing tooth healthy snacks. Feel free to contact us, or we can discuss your nutrition needs at your next routine cleaning and checkup. Choosing foods that are good for your oral health will also help you stick to those New Years resolutions!